In the smartphone era, “distracted driving” is a serious, and well-known, problem. Official warnings about poor driving habits are as old as the automobile itself. The New York Times published a Pulitzer-winning series on distracted driving back in 2009. Increasingly, technological assists are available for those seeking to manage their smartphone’s distractions while in the car. Apple integrated a “do not disturb while driving” mode into iOS 11, and Google has long had similar functionality in its Android Auto app. Multitudes of third-party smartphone apps exists to address the issue. Finally, more than 50 companies are working on what may be the ultimate solution to distracted driving: autonomous vehicles. IBM likely has the resources to make technology to manage communications while driving. But the ’462 patent describes nothing of the sort. Instead, IBM’s patent simply describes a computerized decision-making process. Essentially, IBM has described a futuristic car computer system that will analyze the driving conditions and the context of an incoming text or call, then use some unspecified type of AI to decide what to do about the communication. The specification is filled with empty platitudes typical of software patents, like “[t]he computer system may be described in the general context of computer system executable instructions, such as program modules, being executed by a computer system.” Aside from hand-waving like this, the patent has essentially no information about how one would actually create the claimed system. Some of the claims describe good ideas that could be useful parts of automotive software in the future. But the patent is just that—a list of ideas, not instructions for executing the ideas or creating anything. IBM’s patent offers no code, no algorithms, not even a vague description of how the rules might work. We’ve seen this problem before, in which the Patent Office awards a patent not to the first proven inventor, but to the first applicant who describes a task using technological and legal jargon that patent professionals respect. The Patent Office and the Federal Circuit have been far too willing to approve patents that merely state the idea of applying rules without even specifying what those rules are. The public gains nothing from companies getting patents on the mere idea of using an algorithm to solve a particular problem. Patents like the ’462 patent leave all of the hard work—actually writing, debugging, and deploying software that solves the problem under real-world conditions—as an exercise for the reader. And they allow IBM to exclude the public from making or creating any of the wide range of algorithms that these broad patent claims could ensnare. In our view, IBM’s new patent should fail under the Supreme Court’s Alice v. CLS Bank decision, which holds that you can’t patent basic decision-making processes by adding references to generic computer hardware and software. Given that, it may come as no surprise that IBM is lobbying to throw out the Alice precedent. In a recent interview, top IP executives from IBM explained their plans to demolish Alice by getting Congress to re-work Section 101 of the patent laws, which bars abstract patents. “Every time we try to enforce a patent, we get a 101 defense that comes back at us,” said IBM Chief Patent Counsel Manny Schecter. IBM VP Mark Ringes said he’s hearing “positive messages from Congress” about changing Section 101 to better suit big patent owners. Ringes went so far to claim that the “troll scare is largely just noise now.” That assertion flies in the face of the patent litigation landscape. By one estimate, about 90 percent of patent lawsuits filed last year in the tech sector were filed by non-practicing entities. IBM appears to be downplaying the damage done by patent trolls because its business interests have become aligned with them. 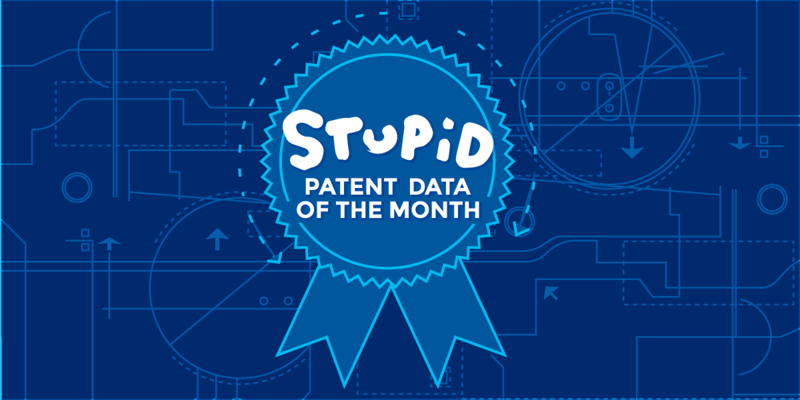 IBM collected more than 9,000 patents in 2017 alone. It uses that massive storehouse of IP to fuel a licensing business that earns more than $1 billion per year. In some cases, that means IBM can let other companies battle for dominance in a particular sector, then step in and demand licensing payments when it’s clear who can pay. There’s less need for IBM to build new social media apps, when the company can use a patent threat to collect $36 million from Twitter right before its IPO. There’s less need to build an e-commerce business, when IBM can sue Amazon over an “electronic catalog” patent that dates back to 1994. Make no mistake: IBM has an incentive to pile up overly broad patents like this one because these patents might allow it to extract revenues from other companies’ future products. A broken patent system encourages companies to use patents, rather than products, to assure dominance in key sectors like driving communications and autonomous driving. Getting rid of Alice would only make the system worse and lead to another flood of do-it-on-a-computer patents. We hope Congress agrees.